Powered by a latest mag-lev motor, steering experience on S3 is solid and stable. In addition, S3 electric unicycle is controlled by a leading chip which minimizes latency. Another mostly raised concern is the comfort, unlike unicycles, riders don’t have to straddle and press legs against the unit to control it. Instead, they just stand relaxed on the widened platform and control S3 by moving the handlebar, which ensures the comfort even when travelling a long distance. Airwheel 2-wheeled electric scooter is designed to be low-profile sportive for everyone’s daily commute. With the prevailing “Go Green” campaign and electric car industry, Airwheel S3 stages as a perfect eco-friendly option for average customers with limited budgets. As for the steering experience, you’ll have your own judgement after laying feet on it. 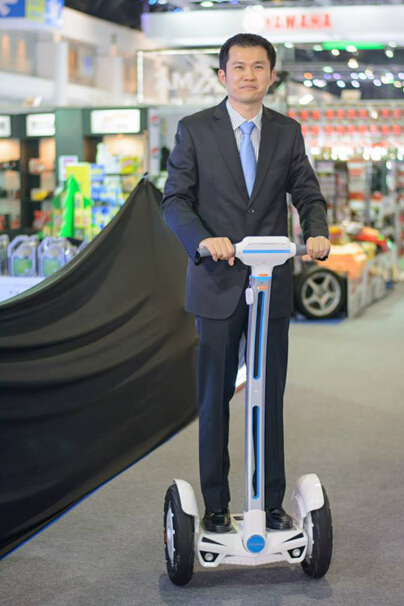 In summary, Airwheel S3 redefines future transporter with high-end configuration and quality at low-end price. Tesla and Segway can cost you an arm and a leg? Go get an Airwheel S3!